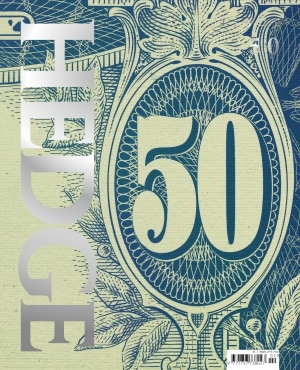 Hedge | Big money. Small world. The investment management industry is a giant beast. This year, hedge fund industry assets are set to rise above $3 trillion. But if you're visiting this site, the chances are you already know this. For all these big numbers there are surprisingly few people who control them. Indeed, you may be one of them. If you are, we make just the magazine for you. For the last seven years, HEDGE has been the leading lifestyle magazine for the investment management industry, with its roots in the hedge fund world. It's a beautifully-designed bimonthly, printed on the highest quality paper. And, best of all, you may be able to receive a hard copy for free. Click on the button below to see if you qualify for a complimentary subscription. HEDGE works with some of the most exciting and innovative partners to deliver exclusive experiences to our readers. We run regular events, which provide great networking opportunities for investment professionals. To be first on the list for these exclusive events, sign up to our newsletter with the button below. We work with some of the most high profile investment funds and luxury brands in the world. Whether you're interested in being interviewed for a feature, writing a column or advertising in an environment that is as high-end as your brand, then we'd love to have a chat. Click the buttons below to send us a message.